The sensors of the series Modular Economic Sensors are available in a wide range of different physical parameters such as temperature, pressure level and flow. All versions are equipped with 4 to 20 mA 2-wire, HART-interface, two limit value switches as open collector optionally with radio transmission and an operation by innovative touchM-key technology. The sensors are produced with the focus on operator convenience: The head can be rotated through 300° and the display is also reversible by 180° for overhead mounting. The housing is also 300° adjustable. All process connections are generally made of stainless steel. The electrical connections are available in several different plastic plug versions. 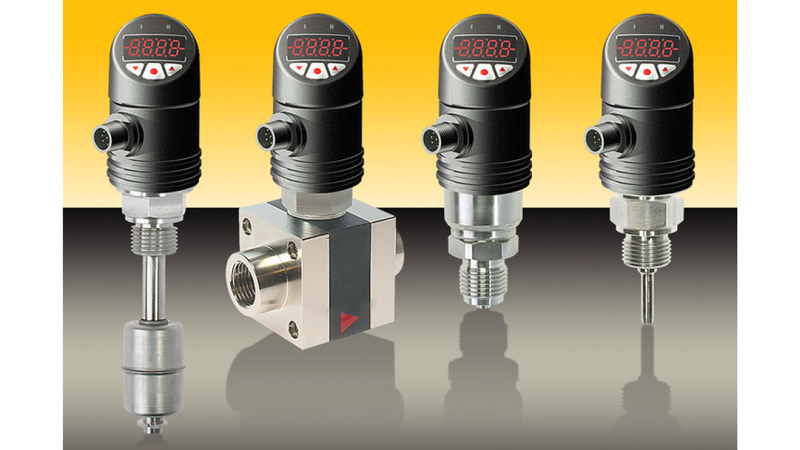 For the specific hygienic requirements of the food and pharmaceutical industry there are pressure sensors with flange process connection available. Special customized solutions are possible with the OEM-Transmitter ME-OEM. In 2019 IO-Link-compatible types round the program.